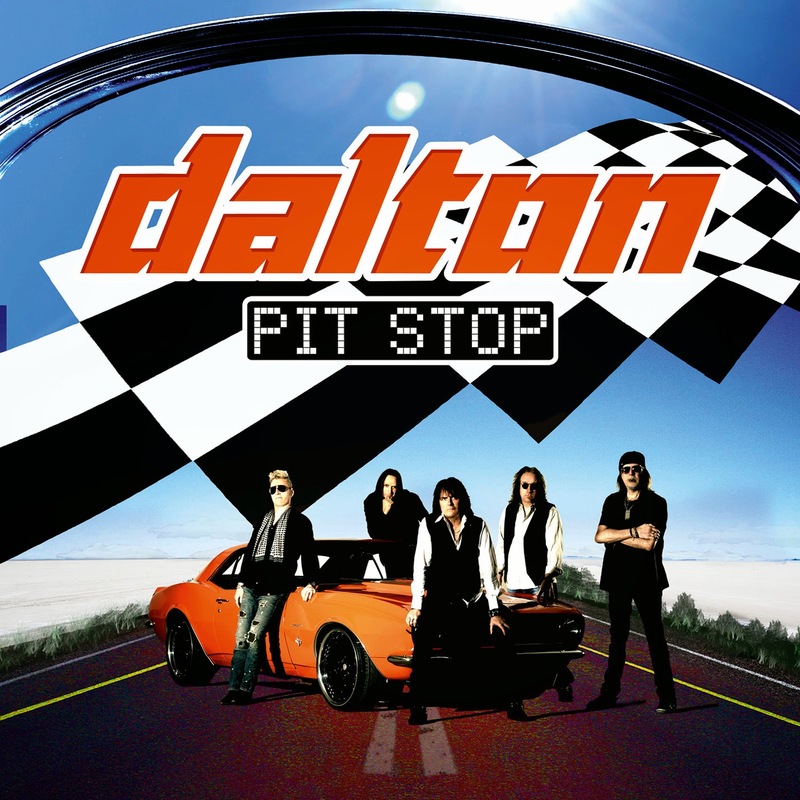 Rock & Metal 4 You: CD-Review: Dalton - "Pit Stop"
Surprise, surprise! 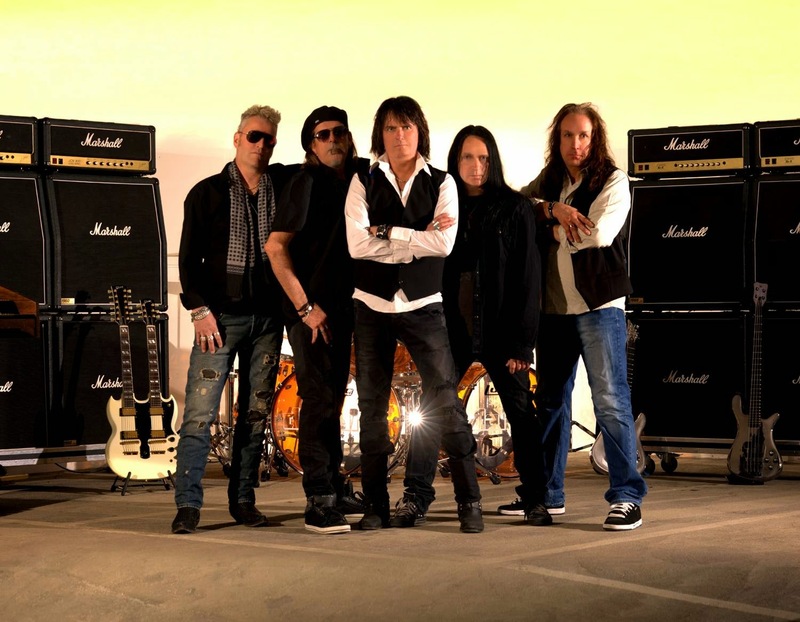 The new wave of 80's Melodic Rock is still rollin' and another band of the "old generation" tries to find a place in the Rock scene again. You've seen that a lot in recent years, while new, young bands like H.e.a.t, Reckless Love, Vega and so on celebrate the good old times with their feel-good music, some 80's chapels see their chance to go with this trend and start a comeback. Sadly many of them can't stand against those bands I mentioned above and I always ask myself: "If a band was laid to rest 25 years ago, what sense does it make to bring them back now?" So here is the next one in line: Swedish Glam Rockers of Dalton disappeared in 1989 and now they are back with a new record called "Pit Stop". Is this album a winner? To get straight to the point: ooohhh yes it is! In the last few years I was rarely so impressed by a "dead" band. Many comebacks were really disappointing (for example Arc Angel, Warrant, Trixter, ...) and only one band was able to wash my doubts away: Daltons's colleagues from Sweden - Treat! And why was that? Because those guys didn't ignore their roots and did what they do best. Same goes to Dalton. "Pit Stop" is an amazing time-machine that brings you back to the days of Glam Rock in the late 80's and this album simply combines all the strenghts that Europe, Treat, Poison, White Lion, Danger Danger and Bon Jovi had back then. By the way: the latter even contributed songs to Dalton's first two albums "The Race Is On" (1987) and "Injection" (1989). Sadly the band was overrolled by the wave of Grunge, like many other Glam Rock bands and a third album never reached the light of day. But some demos for a third record existed and those built the fundament of "Pit Stop" and you really feel that those songs were written back then, because they transport this late 80's/early 90's mood perfectly. On this album you find everything a Rock'n'Roll fan could ask for: Glam Rock gems like the earworms "Hey You! ", "Up & Down" and "Here We Are" go hand in hand with typical keyboard driven AOR ("Don't Tell Me Lies", "One Voice", Something For The Pain") and pounding Hard Rock tunes like "Ready Or Not", "Bad Love" and "TGIF". The latter features a more agressive singing style and a riff, that is so close to AC/DC that you might think this track was written by the Australian legend. Yeah and of course you won't miss a dreamy ballad on "Pit Stop". 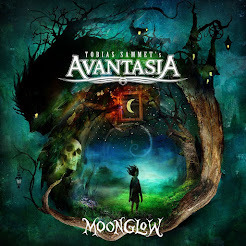 "Follow Your Dreams" is such a fantastic song in the vein of old Night Ranger. You see, the variety is huge on this album and nearly every song is a winner. Performed by the big names in the genre those songs would have become world hits in the 80's. Did you guys saw the movie "Rock Of Ages" with Tom Cruise? While listening to "Pit Stop" I always had this movie in my mind. I always thought "this song or that song would have fit perfectly to some scenes." So, you see it's really a retro record and you shouldn't expect some modern elements here. What I also love about the record is the playfulness. You can hear how much fun the band had to record those songs, so it all sounds damn tight. You get to hear powerful drums all the way and some tasty guitars, mixed up with keyboard parts, which never feel too slushy. That all is topped by raspy and charismatic vocal lines from Bo Lindmark. I truely enjoyed him sing. So it is all well played, well presented and well produced (by Erik Mårtensson - Eclipse, W.E.T.). "Pit Stop" is one of those records where I can hardly find something to complain about, because it is just pure fun and joy to listen to this music.I never thought one of those old bands would be able to record an album that can easily keep up with all their works they have done decades before and of course with the bands of the "new generation" of 80's Rock. With that said I can answer my question from the beginning with YES. In this case it made sense to reactivate an old band. The only mistake Dalton did is the fact that this album is released too late. If "Pit Stop" was released in 1989 it would have become an instant classic. However, in 2014 "Pit Stop" manages it easily to be my surprise of the year and I can just recommend you to buy it if you are a fan of 80's Glam! Now hopefully we don't have to wait another 25 years for a follow-up.